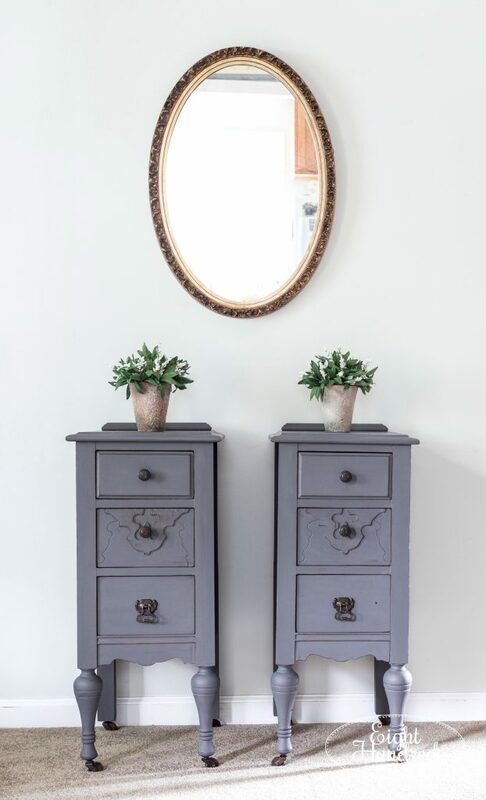 I’m always on the lookout for vintage vanities. They make perfect pieces to split apart into nightstands. 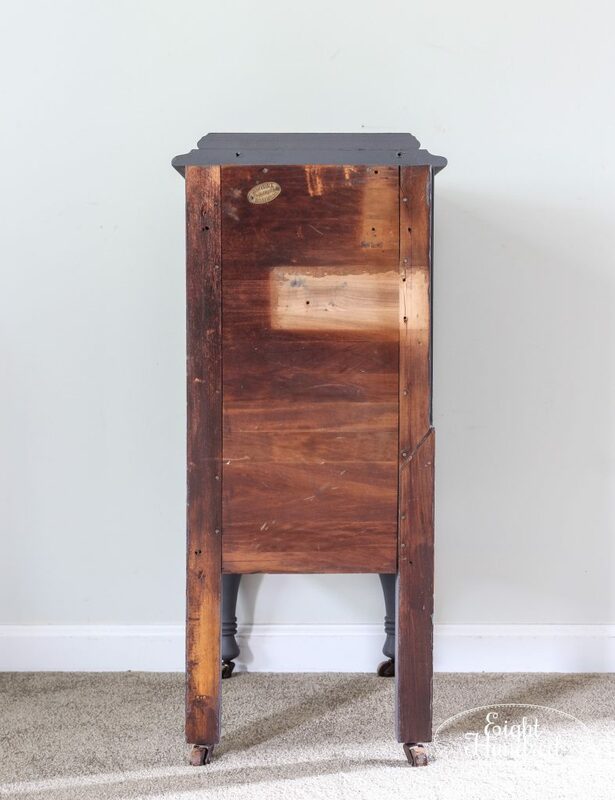 A few weeks ago, I bought one from a fellow dealer at Morgantown Market and brought it home with the intention to turn it into nightstands. You can watch the process below. 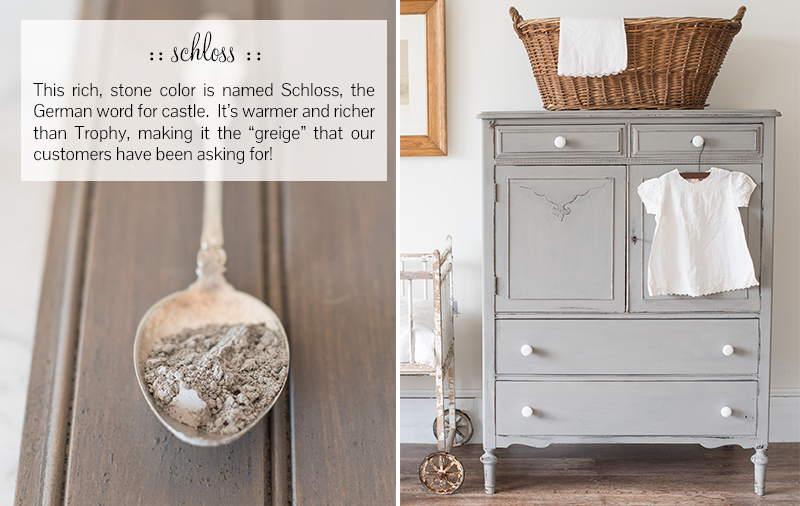 I mixed up equal parts of all three of these colors and the result was a really beautiful shade of gray. 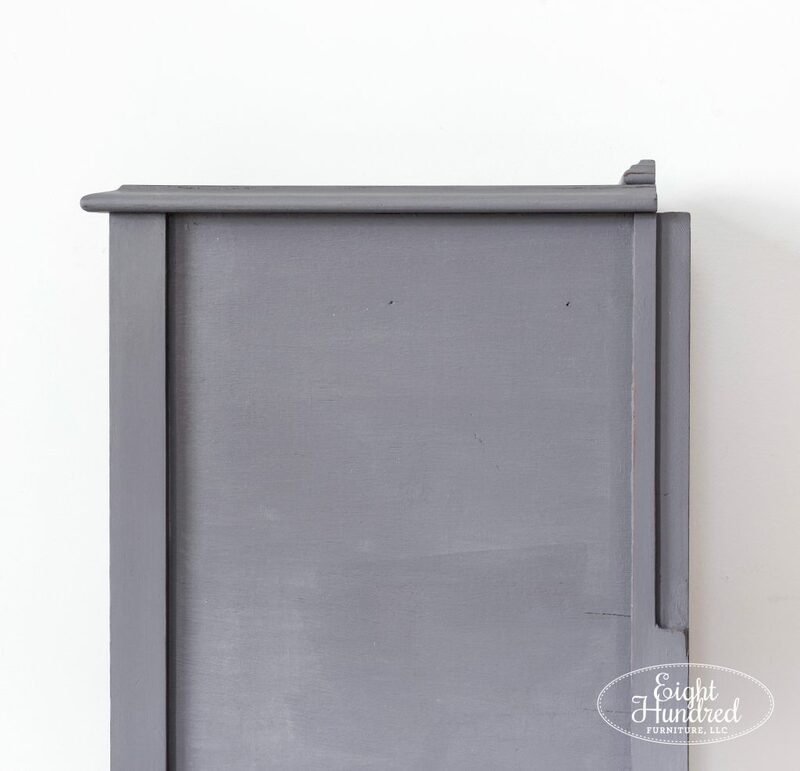 This gray color livened up quite a bit when I sealed it with Hemp Oil. I showed how I wet sanded these to make them super smooth using 400 grit sandpaper and Hemp Oil on my Instagram feed the other day. 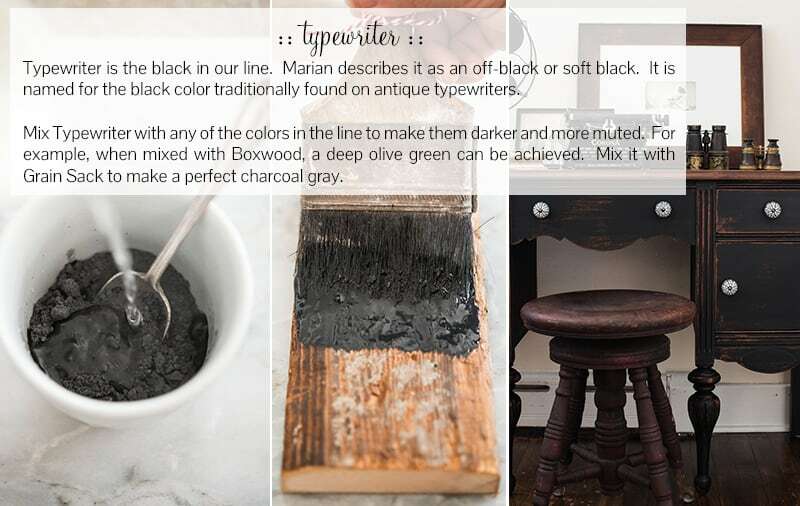 If you didn’t catch the broadcast, you can read how to do it on this tutorial I wrote for the Miss Mustard Seed’s Milk Paint blog. Once everything was smoothed out, I went back with 220 grit sandpaper and roughed up the edges a bit more. 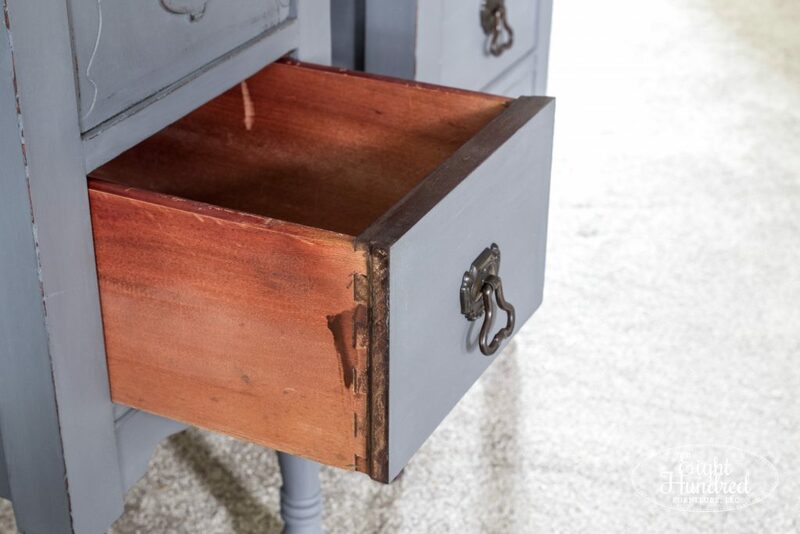 I especially like how the gatored texture of the original finish showed through on this drawer. 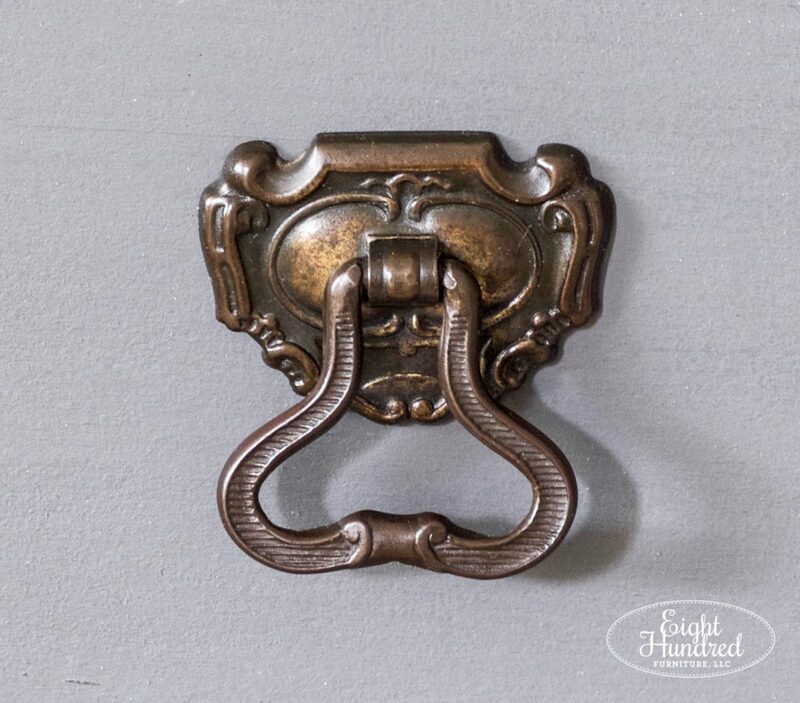 I also used a bit of Hemp Oil to shine up the original hardware. I painted these nightstands with the drawers pushed all the way in, which is my usual technique. I made sure to clean up the edges of the drawers and remove any paint. Typically when I paint with the drawers in, there’s not too much that needs to be cleaned up. 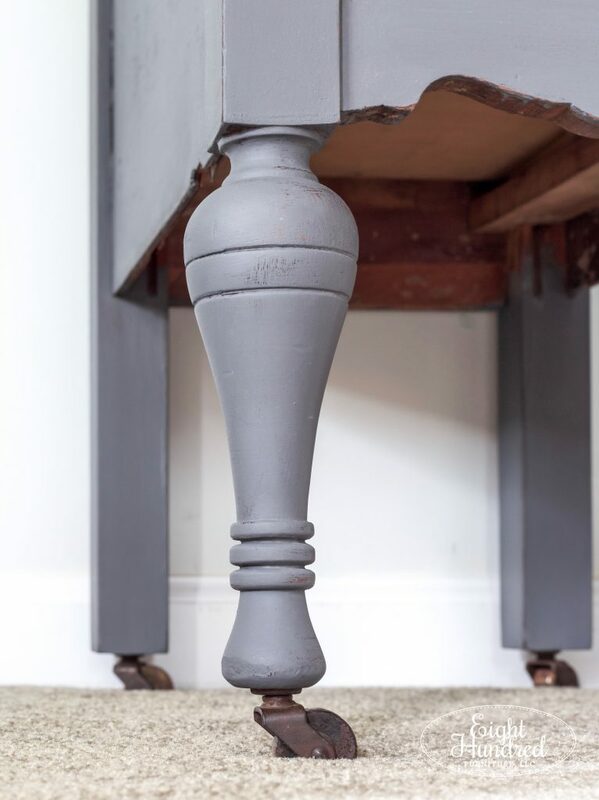 The front legs are gorgeous and both nightstands sit up on casters, adding height and old fashioned charm. 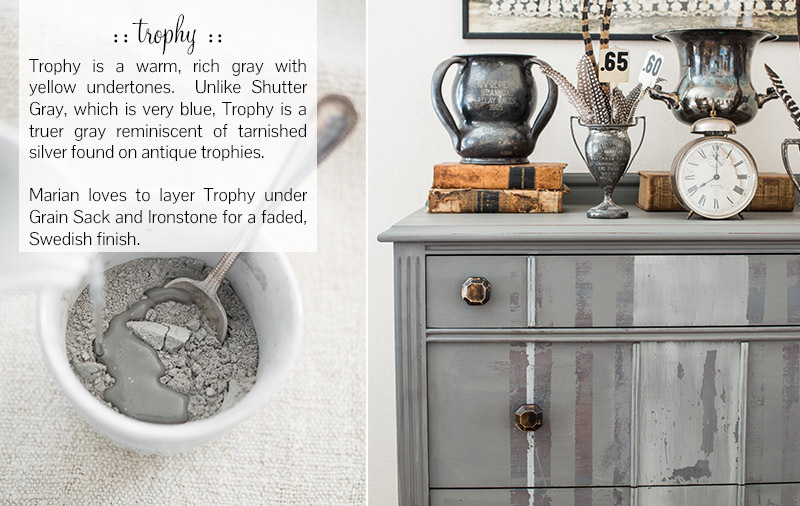 Now there are some quirky features of these nightstands because they came from a vanity. First, there is a channel on one side where the middle portion of the vanity attached. This is the side that I recommend facing the bed. There’s also a ledge along the back where the mirror sat. I painted that so it blended in. 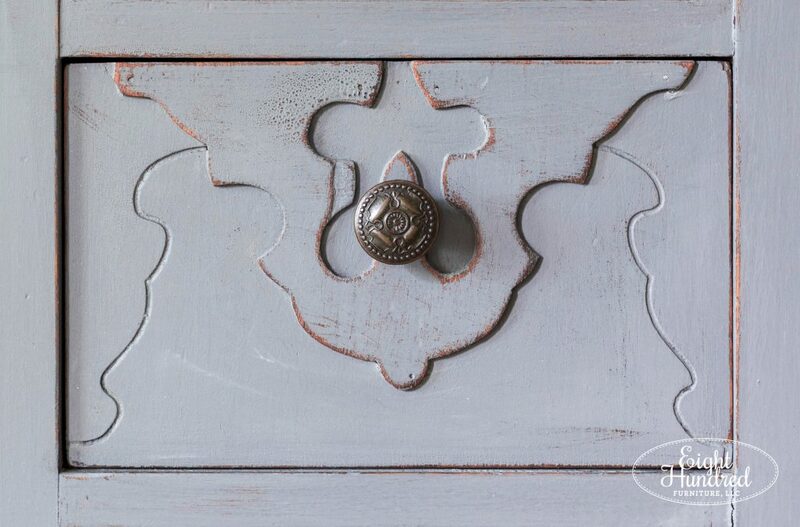 On the back of the nightstands, you can see where the cross support used to be. I kept the label of the furniture company too. 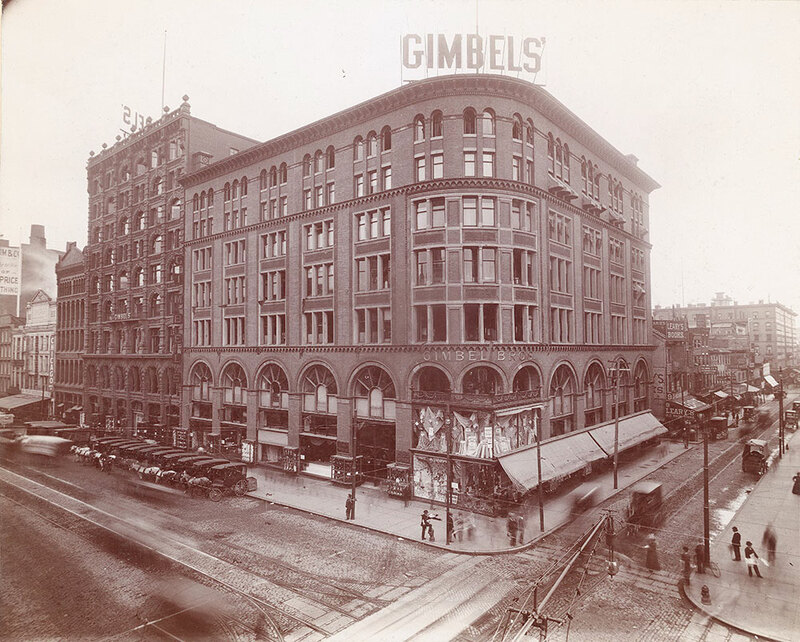 Here’s a photo of the Gimbel Brothers (otherwise known as Gimbels’) location at 9th and Market Street in Philly from 1899. Notice the fleet of horse-drawn delivery carriages off to the left? 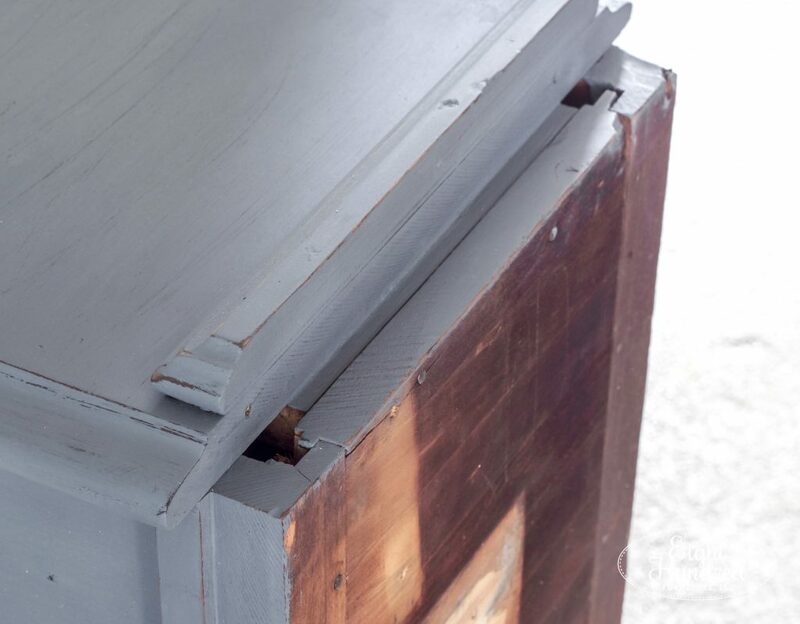 True to form, here at Eight Hundred Furniture, there’s a story behind every piece I work on. These nightstands are available for $275 for the pair. 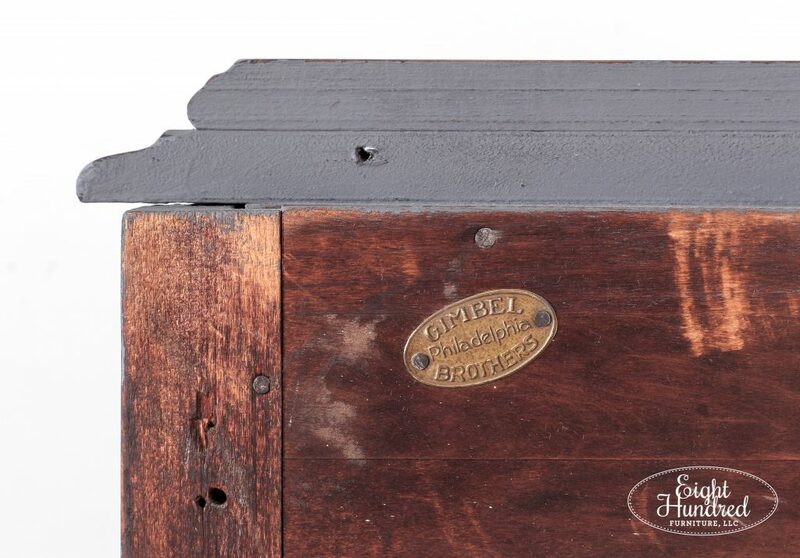 They measure 30.25 inches tall, 13.5″ wide and 18 inches deep. Contact me if you’re interested!